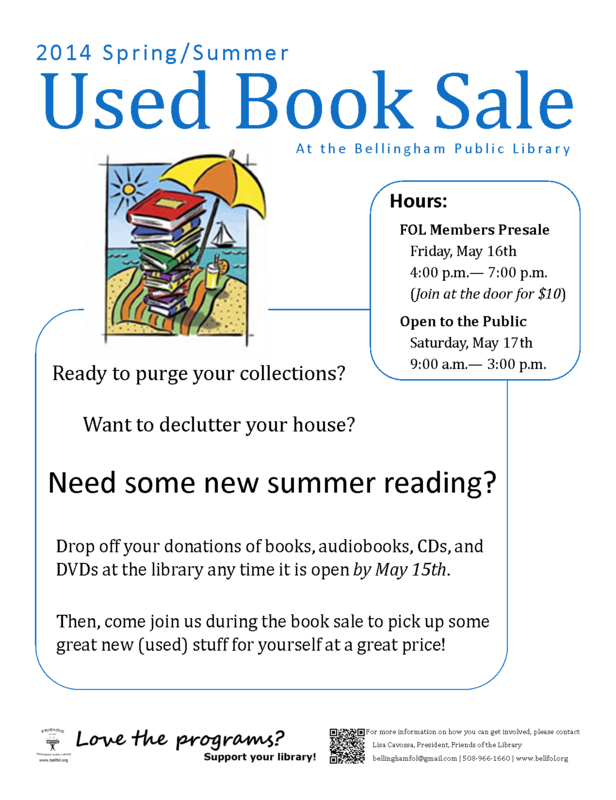 Are you ready to purge your collection and get some new reading material for the summer? Swing by the library before May 15th to drop off donations... and sign up now at VolunteerSpot to help out. All donations of materials and assistance are much appreciated!